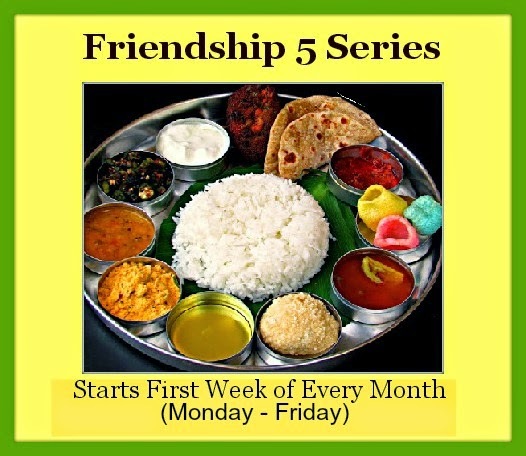 This month for Friendship 5 series we going to post under the theme "Childhood memories". Even though we have lot of branded biscuit nothing can beat tea kadai or petty kadai Butter biscuit. Its a perfect combination with tea or coffee. 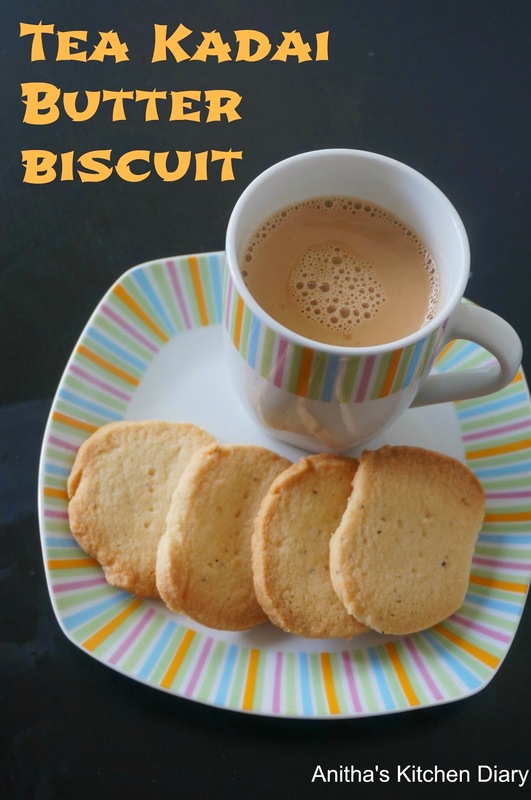 In a my childhood, after returning from school i need 4 butter biscuit daily with a cup of coffee. Otherwise i wont accept the coffee. Bring the butter to room temperature and powdered the sugar. Sieve the flour and salt. Cream sugar and butter. Combine flour ,butter cream and form a stiff dough. Roll it into log shape,cover it with cling wrap and keep refrigerate for an hour. Preheat the 350F. Grease the baking sheet or line with parchment paper. Cut the dough into 1/4 inch and arrange in a baking sheet. Bake it for 10 -15 minutes. Cool down and serve with warm tea or coffee.